If your lighting is dim or out all together or your sign looks like it isn’t being taken care of, clients may relate that to the product you are trying to sell. We believe that it is important to have a clean façade and signage that works well so that clients know that you take pride in your image, and will also take pride in what you produce. This is true of a damaged or non-lit sign as well. If your sign is not operational, you lose valuable advertising time. A sign in working order shows your customers you are professional, dependable and open for business. Rusty Neon Signs proudly maintains and repairs just about any type of sign: pylon signs, monument signs, channel letter signs, neon signs and electronic message center signs, to name just a few. 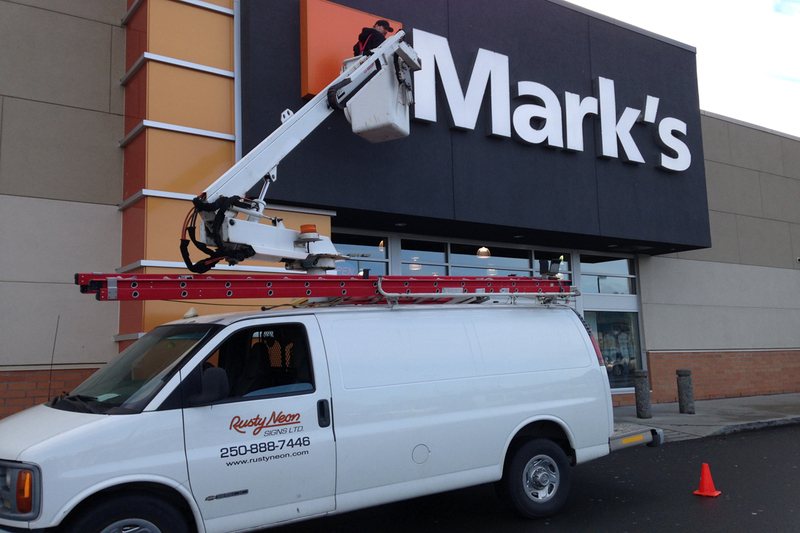 Whether your sign needs structural work or electrical repairs, we are well-equipped to get the job done right. 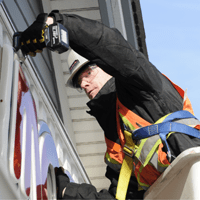 Rusty Neon Signs Ltd is a Licensed & Bonded BC Safety Authority Electrical Contractor. Our trucks are fully stocked and our service technicians are trained in the latest technology standards. Our highly experienced installation teams are engaged throughout the process providing key details for the final installation logistics.